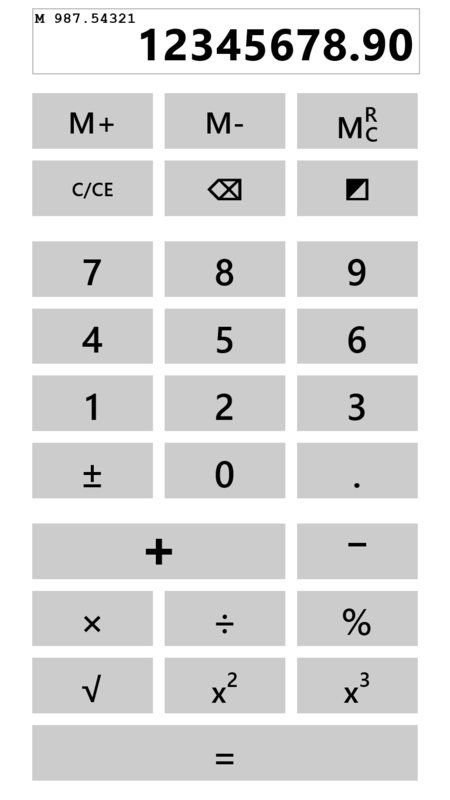 XXL Calculator is calculator with extra-large buttons and display. 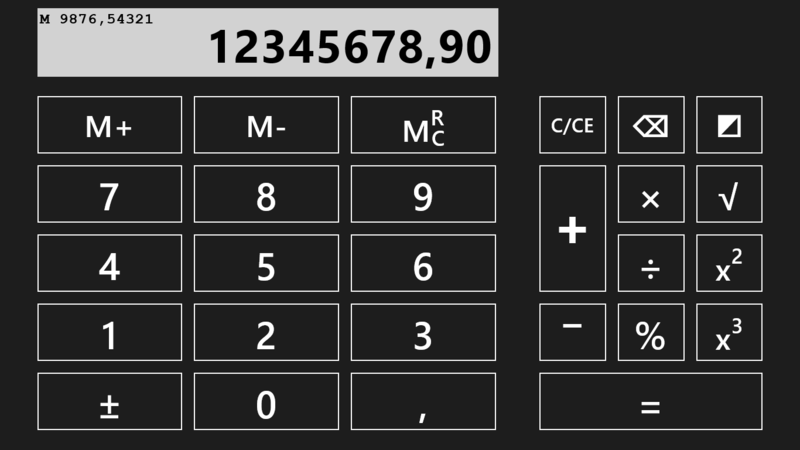 It supports the basic operations, percent calculation, squaring, cubing and square root calculation. 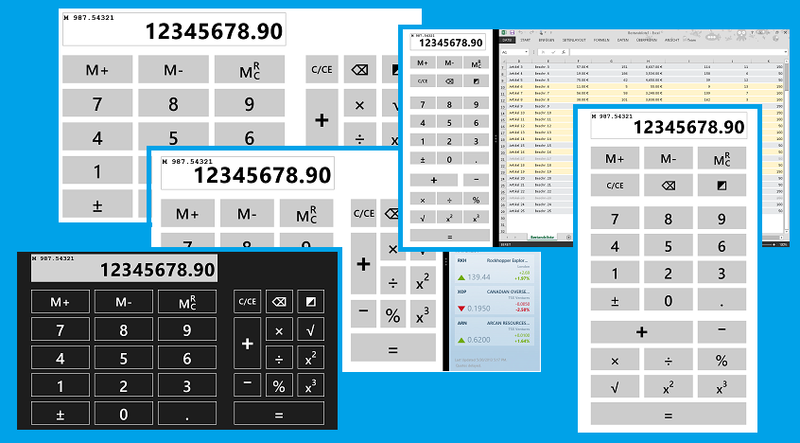 Additionally, it has a memory function and you can toggle between a dark and light color theme. 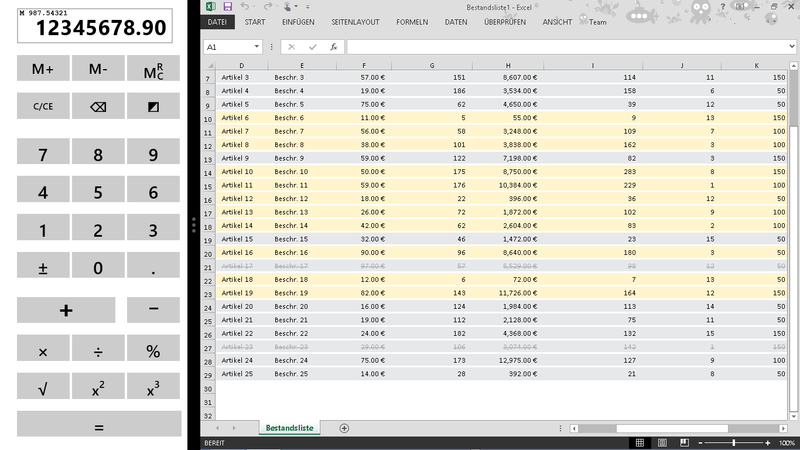 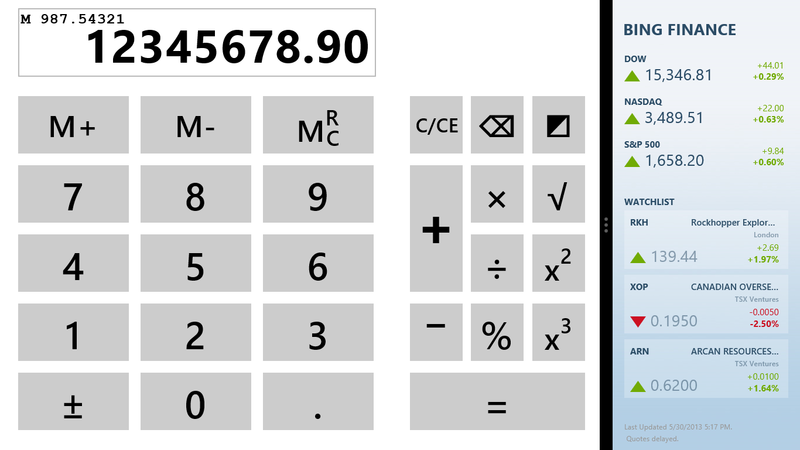 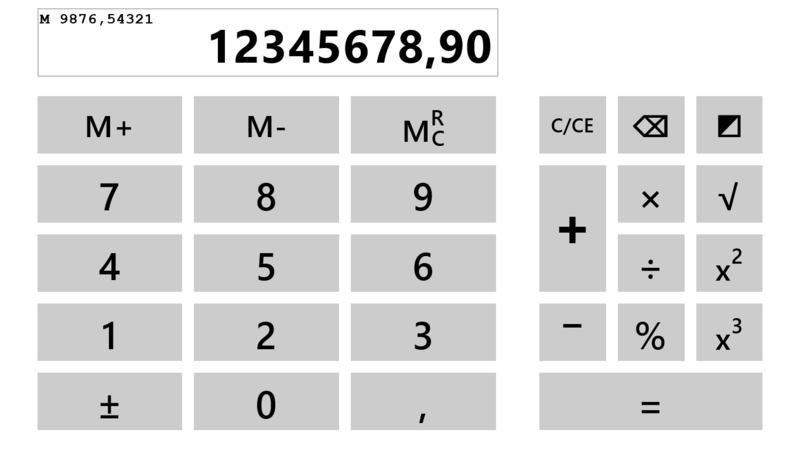 The calculator is especially handy in snapped or compact view, as you can have it active aside your main document for doing quick calculations.